Sharpie 30-Count Markers + Coloring Page Set only $12.98! 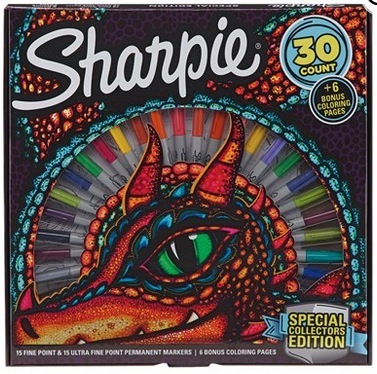 Walmart has this Sharpie Special Collectors Edition Permanent Markers (30 count) and Dragon Coloring Pages for only $12.98 right now! This would be such a great gift idea! « Free Tide Pods Laundry Detergent after rebate! !